Surgery was more popular in the former frame (84% of physicians chose it) than in the latter (where 50% favored radiation). This is most distressing. These are educated people with graduate degrees in medicine and they’re treating two logically equivalent descriptions differently. 34% differently! 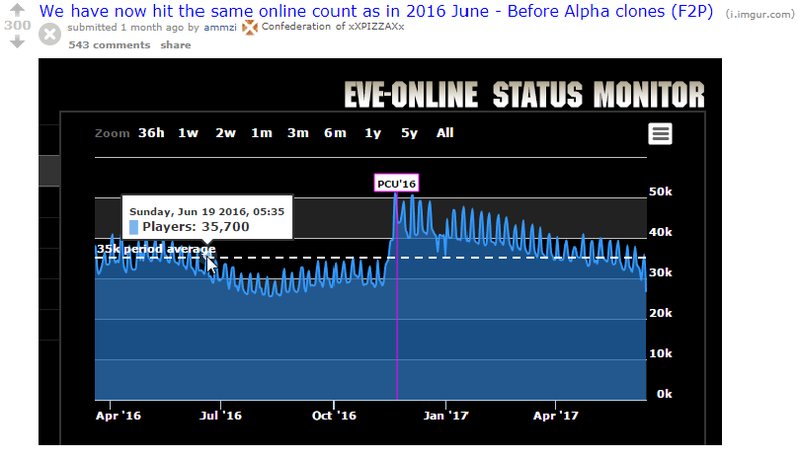 As you can well imagine, drenched in their Summer Discontent, r/Eve’s commenters (and there were 543 of them) interpreted ammzi’s graph as proof yet again that EVE is Dying, Alpha Clones could not save it, all is failure. Curiously ammzi’s post said no such thing. He offered no analysis at all. He merely published an observable fact. 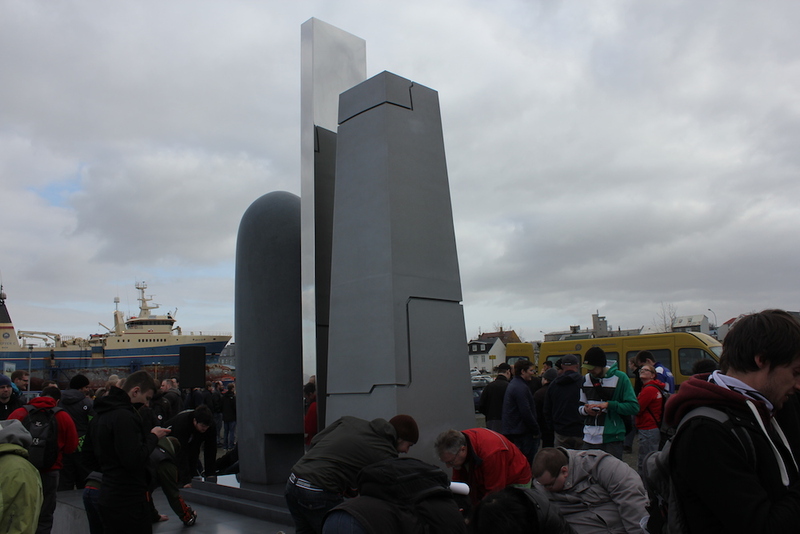 r/Eve took from that fact what they wished while I, not awash in similar discontent, saw something different. Let’s step back for a moment, way back, and ask ourselves what the natural state of the universe is. Decay is the natural state. Universal decay is built into French scientist Sadi Carnot’s Second Law of Thermodynamics. A room, if not cleaned and tidied, will invariably become more messy and disorderly with time. Given enough neglect, it won’t be a ‘room’ any longer – just a jumbled heap. What’s true of the room is true of the sandbox. 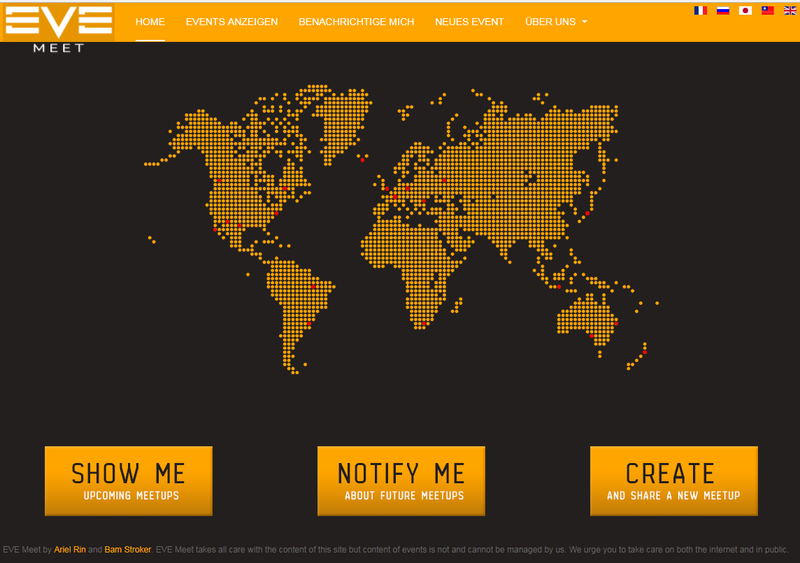 Sans intervention, concurrent user counts will decay. Physics tells us this. “EVE is Dying,” when you think it through, ends up a terribly banal observation. Disorder will not be conquered. Disorder will win out. Effort merely delays that inevitably. Accordingly, by any reasonable measure, sandbox success should gauge delay only, not eventual destination. Framed this way Alpha Clones were no failure. Framed this way Alpha Clones were extraordinary success. Alpha Clones extended the life of our sandbox an entire year which, given EVE’s 2003 start date, is no less than 7% of its entire existence. Even Kahneman’s Harvard Medical School colleagues would support that kind of intervention. If current cosmological theory is correct our universe is destined to cease in a Big Freeze and/or Big Rip some ten trillion years from now as space inexorably continues to expand until all things stretch so thin everything just kinda peters out – no heat, no stuff, no nothing. A dismal end when you think about it but in my day to day I tend not to think about it. Ten trillion years is a mighty long time. If current biological truths remain intact, you and I are going to die. Probably not tomorrow, but a whole hell of a lot sooner than the end of the universe. Comparatively speaking, I think a lot more about my eventual cessation than I do about the universe’s demise and I suspect you do to. Being human we generally see our world filtered through human concerns bounded by human scale, but even then we’re not thinking at the edges of those limits most of the time. Though humans can wrap their mind around a good 50 or 100 years, usually we worry about next week. All in all, it’s not a bad way to approach things. Practically speaking both our table sitters are equally accurate. Drinking water, especially when you’re thirsty, is tasty. Nonetheless, it won’t prevent eventual death. Still, who do you want to hang with here? Me, I prefer the guy in the hat. And I’m aware pessimism has it’s rewards. There’s wonderful sadistic pleasure in the scathing review. Mocking a game involves adopting a position of superiority and reveling in the feeling that you, the mocker, stand above the object mocked. It’s entertaining sensation and I’ve been known to partake but over the long term it leaves one empty. You never produce anything, you only strut on the humiliated aspirations of lessor people. The belief that concurrent user graphs accurately measure game health is, with the exception of the very lowest end (zero users is indeed dead), a debatable assertion. It’s like claiming, sans context, that a person’s weight reflects their wellbeing. Weight is a cogent measure to be sure, but only when placed in relation to height and age and a whole lot of other factors. If you’re tall, 90 KG is very probably healthy. If you’re short it’s very probably morbidly obese. Alpha Clones’ free to play introduction compounds this problem. Concurrent user counts don’t tell us what percentage of players are paying customers and, from a business perspective, it’s paying customers that matter. EVE could be shifting into any empty husk of free ride players and concurrent user counts wouldn’t reveal the approaching bankruptcy. Beyond telling us how many players are logged in at any one time, concurrent user counts conclusively measure little more. When progress is framed as additive, more is necessarily better. It’s poor way to measure a past time. “Let’s see that movie, it’s got four more actors than the other one.” “I judge food by volume meaning watermelons are better than peaches, they’re bigger.” “Traffic jams are the best, the more vehicles the merrier.” Quantity is not always quality. It pains me to see a game as expansive as EVE repeatedly squished down to a single statistic. This is Saturday evening last month, Salt Lake City, Utah, USA — a not particularly large city in a rather sparsely populated North American state. I’m toward the back left in this picture. 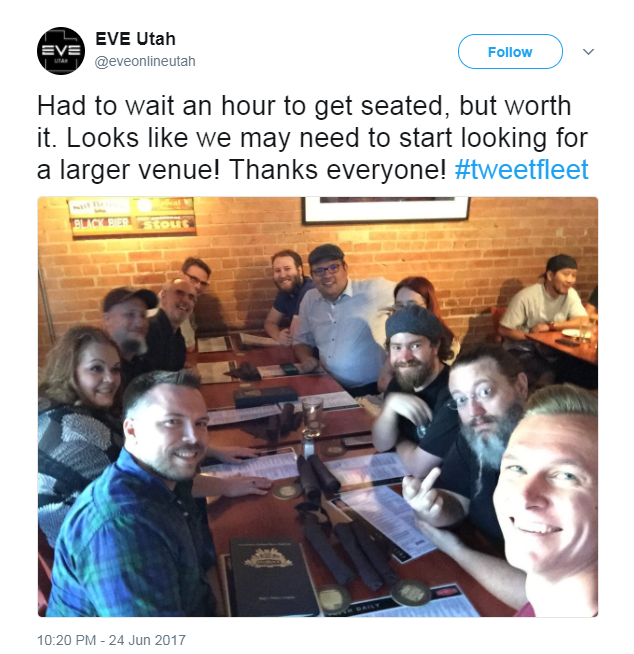 One of these people is pure Alpha Clone barely two months into EVE. None of us are logged into the game. The concurrent user count suffers but EVE thrives. EVE, unlike real life, isn’t submerged in deep, uncomfortable truths. It’s just a game. Avoid perpetual dissatisfaction. It diminishes you.